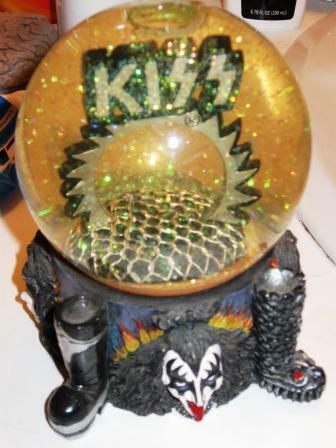 This is the KISS snow globe. Ever have one of those moments when everything falls into place, completely unexpected and with little effort? Aren’t they great? Dawn shares the story of how a chance encounter helped clear from clutter from her home while making a stranger very happy. Opportunity frequently presents itself in unusual circumstances and unique situations. And sometimes it takes no more than a casual conversation and shared interests to about bring exciting changes. To find out what role a KISS snow globe plays in the story, click here.